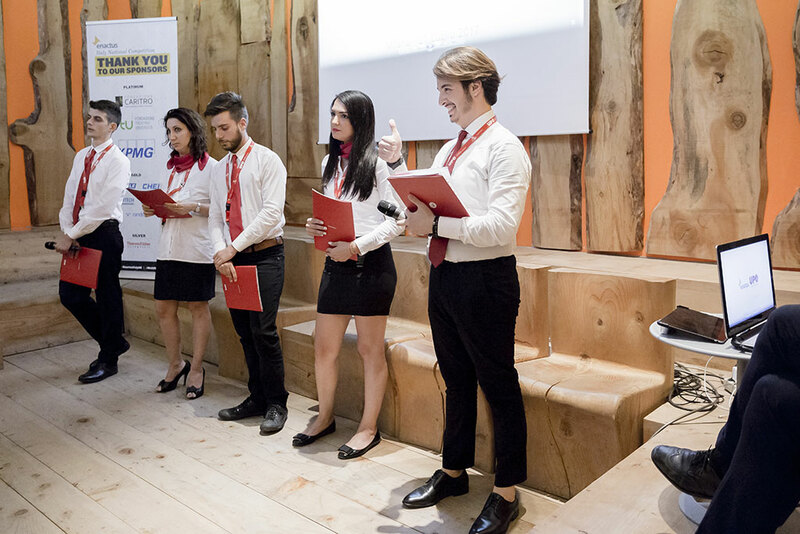 It was a historic day on 21 July, when 70 people came together at the Triennale Milano in Milan – it was the very first Enactus Italy National Competition, our newest country program. 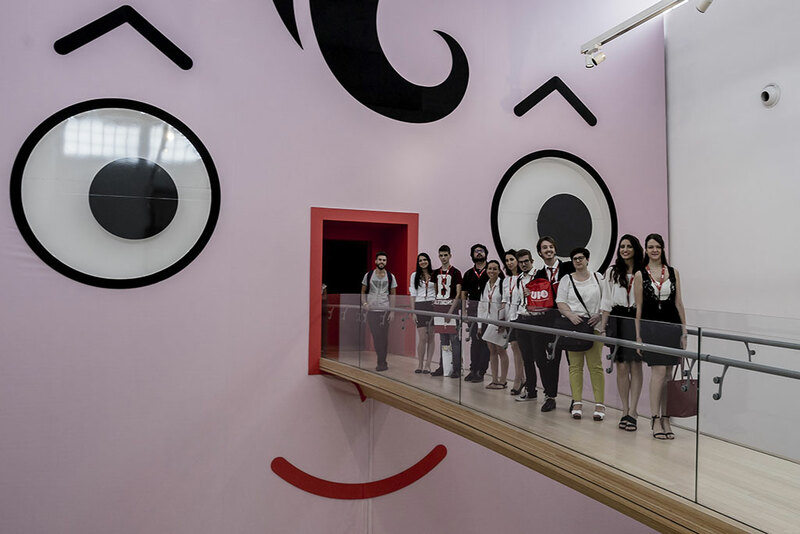 On that very special day, three Enactus teams and their advisors came to the unique art and design museum to showcase and celebrate the impact they’ve had this year, while meeting and networking with executives from a variety of companies and industries. As you’ll see in the pictures below, there was much emotion and excitement in the museum that day, a sign of great things to come for this young program! 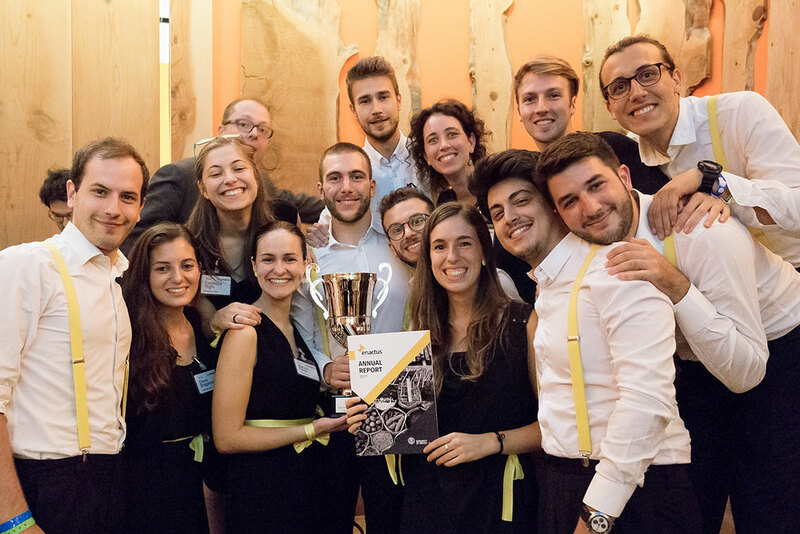 The three teams took part in the competition in hopes of being named the inaugural Enactus Italy National Champion, not to mention being the first team to represent Italy at the Enactus World Cup in London. 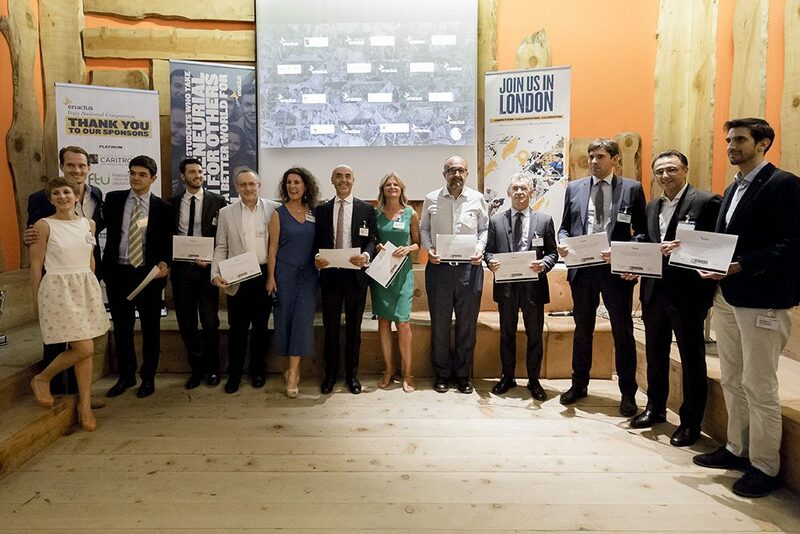 In front of all 70 attendees, including 10 executives serving as judges, the three teams shared how they identified opportunities to change lives in their communities using entrepreneurial action. 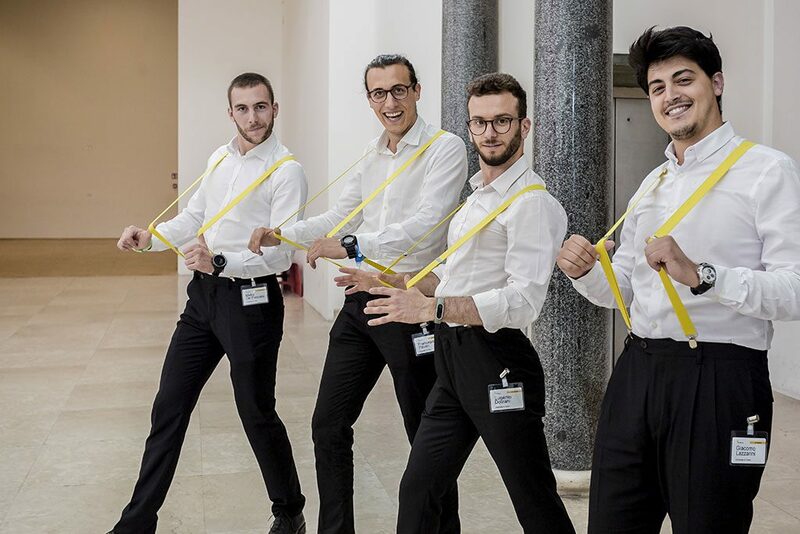 At the end of the day, the team from the University of Trento was presented the cup, impressing judges with their Kilimangiamo project, a traveling food truck that gives immigrants a chance to share their culture through food and storytelling, while also gaining valuable employment skills. 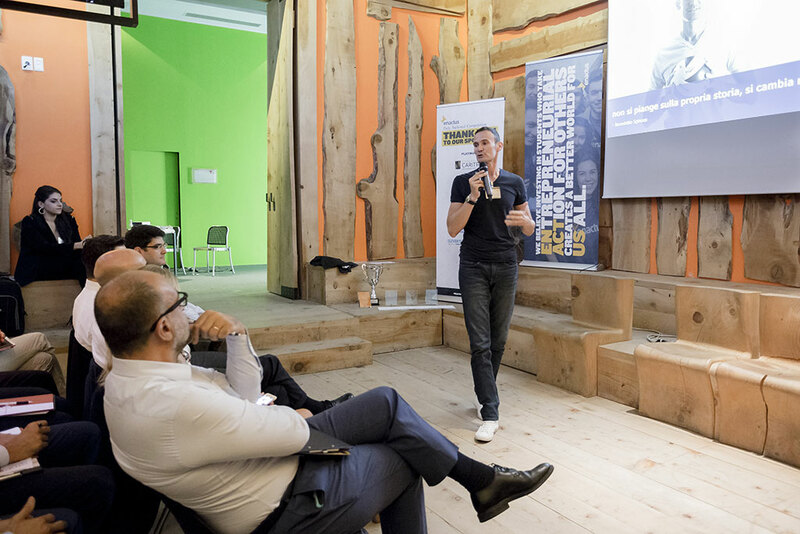 The event, generously sponsored by Carlisle, featured a keynote address from Giacomo Sintini, renowned volleyball champion and Training Development Manager for Randstad HR Solutions. In his passionate address, he shared his personal experience as a volleyball player and as a cancer fighter. His speech can be summarized with the following quote: “don’t cry about your personal story, just change it”. He talked about his personal journey of discovering his talents and growing them with passion, sacrifice and discipline. And he emphasized the importance of working with others and being a part of a team as we set goals and work to realize our dreams. Other highlights of the day include a judge luncheon, sponsored by Carlisle, that gave executives and academic representatives the chance to network; a presentation on the global 1 Race 2 End Waste competition; and special recognition of teams and faculty members, judges and sponsors. 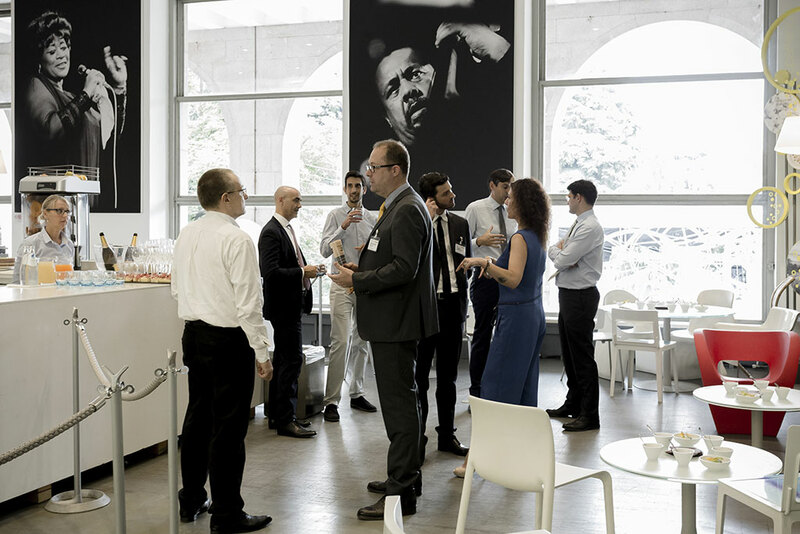 The full day ended with a special networking after party, sponsored by KPMG. 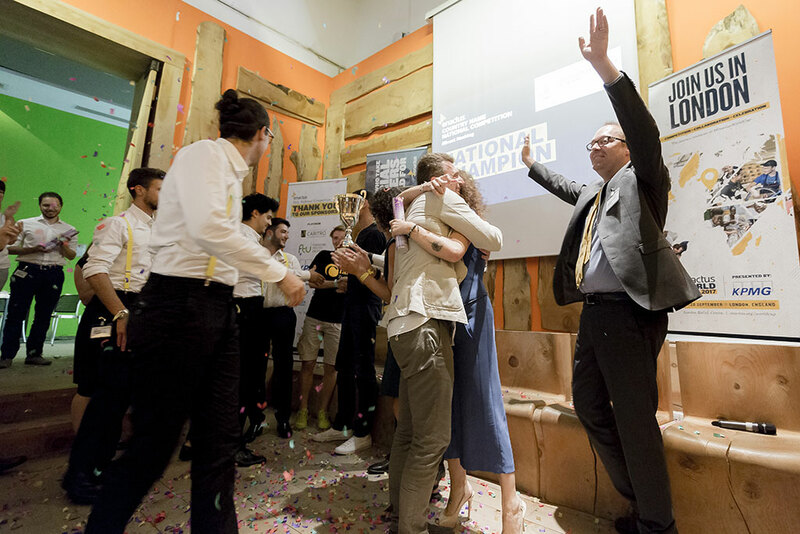 Want more from the very first Enactus Italy National Competition? Don’t miss this great video!